Astronomie - NASA´s Spitzer Teleskop beobachtet Asteroiden-Einschlag auf NGC 2547-ID8, ein 35 Millionen Jahre alter, sonnenähnlicher Stern. Astronomie - Uranus: Warum wir den meist ungeliebten Planeten besuchen sollten. Stone altar engraved with astronomical symbols is 3,500-4,000 years old. The archaeological complex of Licurnique, located four hours from Olmos district in Peru’s northern region of Lambayeque, reveals evidence of an astronomical laboratory from the formative stage. According to excavators, astronomical functions were engraved on rocks that have successfully stood the test of time. The said archaeological site dates back to 3,500 or 4,000 years ago, and it is worth exploring without a doubt. In it, archaeologists found a petroglyph that consists of a stone altar, an expression of religious superposition. It details and provides an understanding of Licurnique’s inhabitants. Furthermore, astronomical observatories were engraved on a flat-surface rock, which were used to track stars and therefore to forecast rain fall for crops and human consumption. In addition, explorers Juan Martinez and Manuel Curo agree that this complex combines ancient, Hispanic and Andean influences, event though it is unusual to find a blending of these three cultures’ customs, art and believes. The astronomical laboratory was located near a river, whose vestiges are still visible but need to be preserved. 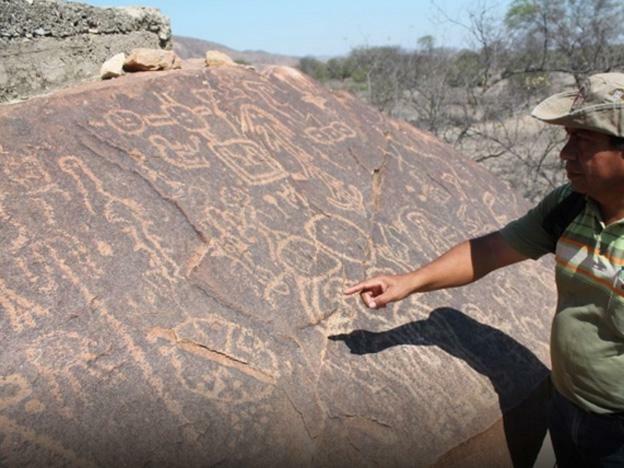 It should be noted that Licurnique is one of the 24 archaeological sites to be preserved under an inter-institutional agreement between Olmos district and the Naylamp-Lambayeque Executive Unit.